Eclectic Songs understands that your special day is one of the most important events in your life. We strive to provide elegant and unique wedding entertainment that you and your guests will treasure. The key to your perfect day is all in the details and we are available to answer all of your questions from your first phone call down to the last dance. When you think wedding DJ, think Eclectic Songs. 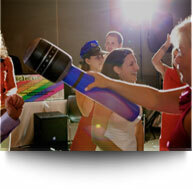 All of our wedding DJ packages are custom tailored to make your day memorable. 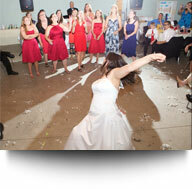 Just like our wedding DJ packages, Eclectic Songs custom tailors its DJ services to your event. Whether a sweet 16, birthday party, Bar/Bat Mitzvah, reunion, holiday party or anniversary - we will make sure that your guests have a great time. 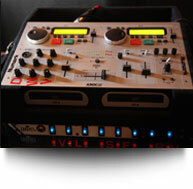 A professional DJ service must offer more than just music. With our years of experience we understand the importance of timing and reading the guests to keep the flow of your event moving. We constantly monitor sound levels, checking that they are appropriate for your activities and we work hard to coordinate your event activities with other vendors. Corporations and businesses enjoy celebrating. What better way to provide elegance and fun for your employees and guests by trusting Eclectic Songs professional DJ services. All corporate events include basic options just like our wedding DJ packages including the ability to custom fit our DJ services to meet your event needs. Our success with school functions such as school dances, proms, winter balls, homecomings, graduations and fundraisers has us returning to DJ at many school events. In addition to our normal DJ services, we also provide kids prizes and glow sticks no additional cost! We will generally travel anywhere within 2 hours of the Capital District as part of your package price. However, we are willing to travel anywhere for an additional fee. We frequently DJ weddings and events in Saratoga County, Warren County, Schenectady County, Albany County, Montgomery County, Fulton County, Herkimer County, and Schoharie County. Eclectic Songs has the flexibility to put together entertainment packages that can fit almost every budget. Rates will depend upon the venue, location and length of the event. Due to our passion and commitment to making your event special and memorable, our fees do not match the quality of entertainment that we provide. "A special thank you for providing entertainment for us at our Thanksgiving & Hometown Ambassador Reception at Longfellows in November of 2011. We enjoyed the selection of music that Travins and Tondreau chose for this event. Many of our guests commented on how enjoyable the music was. We thank you for making our event such a success and are looking forward to working with Travins and Tondreau of Eclectic Songs in the future on other Bureau events."